It is critically important for organizations to be certain that their employees fully understand the definition and risks of harassment in the workplace. A well-designed training program can have a positive impact on reducing the types of misunderstandings and confusion that, if left uncorrected, can lead to a disrespectful or hostile work environment. 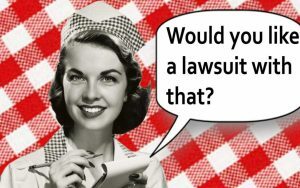 An ounce of prevention is truly worth a pound of the last resort “cure” provided by a formal complaint or litigation. While the laws governing harassment in the workplace are the same for all businesses, harassment prevention training will be most effective when it incorporates an accurate and nuanced understanding of the daily experiences and unique characteristics of the particular organization’s work and employees. Generic training programs often fail to engage audiences emotionally and, as a result, lose the opportunity to meaningfully change behavior and increase awareness of the issues of workplace disrespect. Too often, generic programs are experienced by participants as alienating exercises in rote compliance. There has never been a better time to review your organization’s training strategy in this critical area. We have seen a steady stream of news stories in the past year, and an increase in reporting, of harassment due to the social momentum and heightened awareness generated by the #MeToo empowerment movement. We are living in an era of accelerating change and shifting definitions of what constitutes harassment and individuals now command the powerful tools of social media to publicize grievances and infractions. Use realistic scenarios and examples which reflect the organization’s workforce and potential issues they might face. Present material in an interactive and approachable way that encourages participants to contribute their first hand knowledge of the workplace. Provide specific examples of what participants can do if they find themselves in the role of bystander, victim or harasser. Cover sexual harassment, bullying and as well as other disrespectful behaviors. Extend the goal beyond simple “tolerance” to the more robust concept of “inclusion”. Discuss the rationale and importance of people speaking up when they experience or witness harassment. Demonstrate how work groups can enjoy working together, and avoid the pitfalls of disrespect and harassment, without feeling like they are walking on egg shells. Increase healthy connections between participants by emphasizing, and modeling, the importance of support, warmth, humor and kindness. In today’s multi-ethnic and multi-generational workplace, it is more critical than ever for leaders to foster an authentic, and culturally sophisticated, dialogue about the importance of respect in the workplace. Customized harassment training, designed to be much more than a “check the box” compliance exercise, can help facilitate this dialogue. It can be a critical component of an organizational improvement strategy in companies with the courage and vision to discuss these issues honestly and to create work environments which bring out the best in people.